Farmers wait in line for days to unload their tomato harvests at a juice plant near Linhe, Inner Mongolia Autonomous Region. 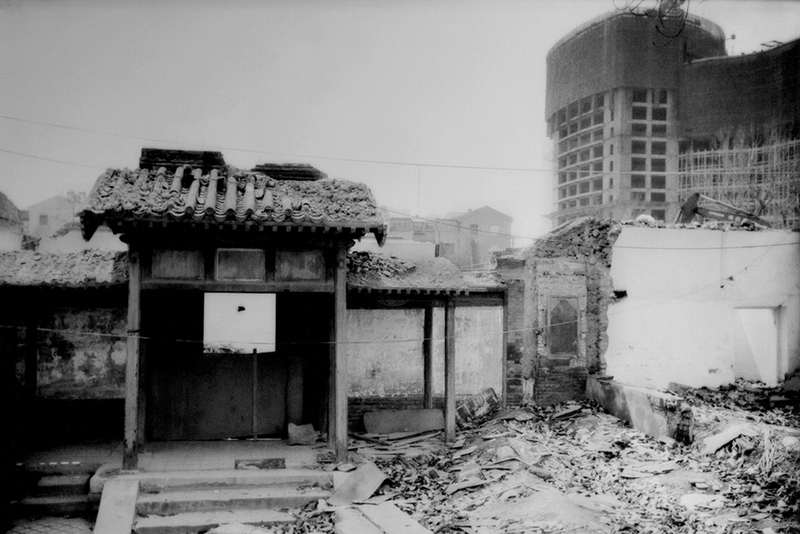 In the past decade, Beijing has demolished most of the city’s distinctive alleyways, or hutong, some of which date as far back as the Yuan Dynasty of the thirteenth century. 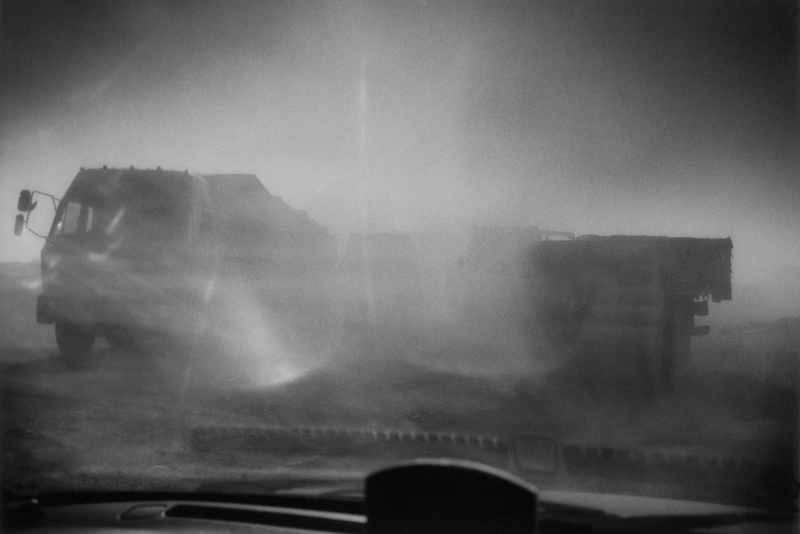 Dust from truck traffic through an industrial zone on National Highway 110 in Ningxia province. A young Tibetan man hawks a tiger paw in Qingping Market, Guangzhou. The region’s recent increase in wealth has driven up demand for illegal tiger parts, which are used in traditional Chinese medicine. The World Wildlife Fund estimates that globally, there could be as few as 3,200 tigers left in the wild. On this particular day, more than twenty-five tiger paws were laid out for sale on the sidewalk market at midday. Children ride past computer components, imported from North America, Europe, and Japan. 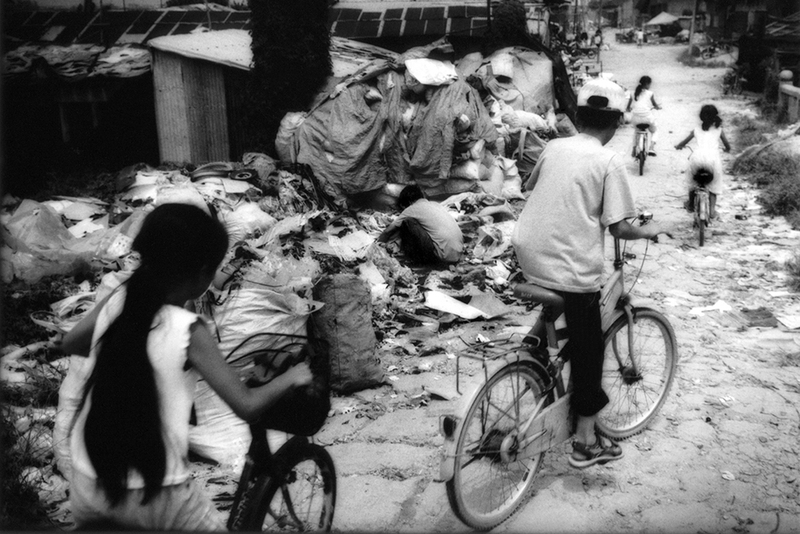 The parts, many of which are toxic, are dismantled and their recyclable materials extracted for sale in what was, less than a generation ago, a bucolic agricultural village outside of Guiyu, Guangdong. Migrants flood China’s megacities in search of opportunity. Third-class passengers cross Hubei province on a long-distance overnight train. 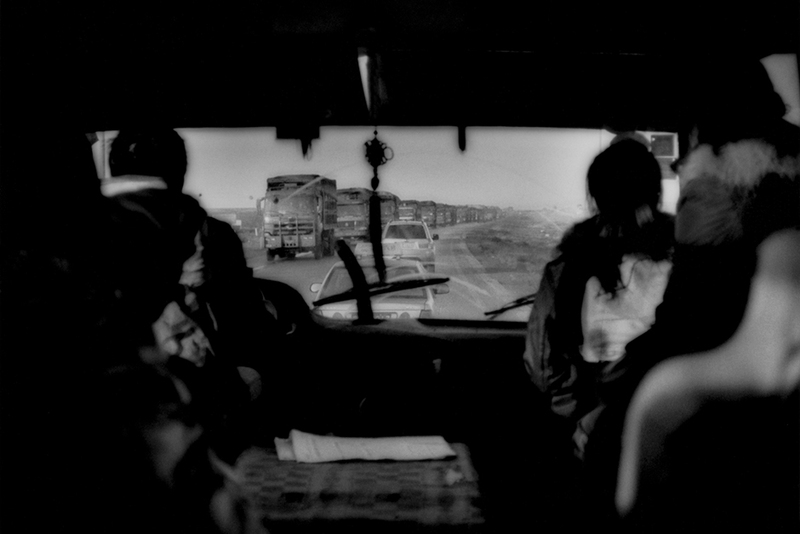 Coal is the primary energy source fueling China’s economic rise, but this seemingly endless stream of heavy dump trucks filled with coal on a Gobi Desert highway is far from the urban centers on the coast. China now emits more carbon dioxide than any other country. 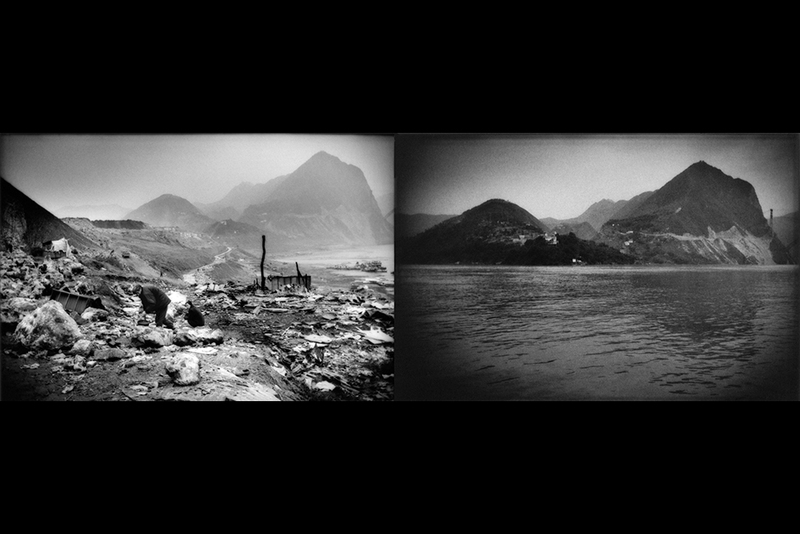 Wushan, a city along the Yangtze River, before and after the effects of the Three Gorges Dam. The dam generates 80 terawatts of electricity annually; this meets about 1.7% of China’s electricity demand. It has displaced 1.24 million people and flooded 1,300 archeological sites, as well as some of the most fertile farmland in China. On the outskirts of Shanghai, sprawling developments, like this one photographed in 2008, continue to gobble up China’s “land of fish and rice” in the Yangtze River Delta, now home to more than 80 million people. A fisherman returns home along a road lined with factories in Shizuishan, Ningxia. The toxic effluent from the heavy industry contaminates the fish he catches. The fishing waters, at right, mix with factory runoff entering the Yellow River, the primary source of drinking and irrigation water from much of Northern China. 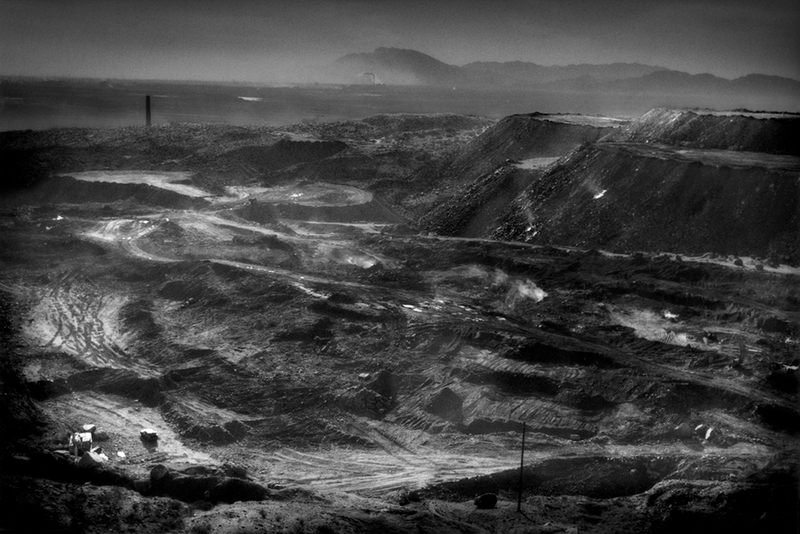 Open-pit coal mine on the back side of a Buddhist temple mountain in Laoshidan, Inner Mongolia. China produces more coal than the United States, the European Union, and Japan combined, and China consumes three times as much coal as the U.S. 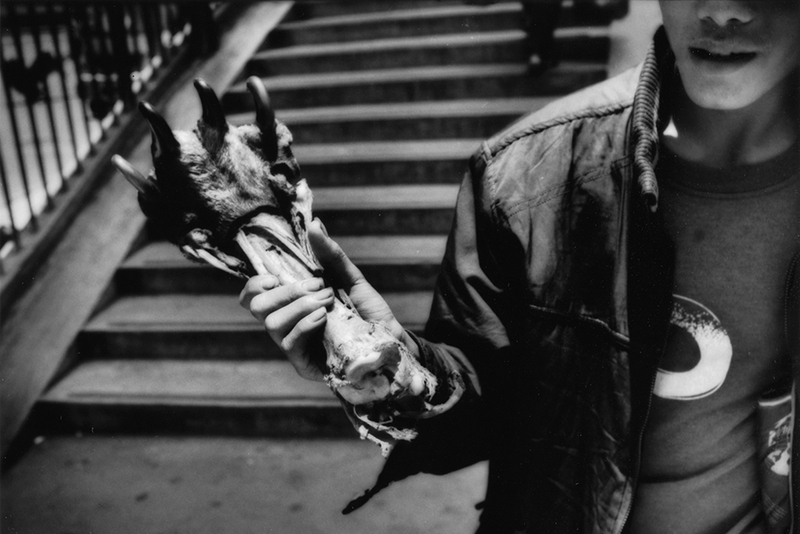 The photographer James Whitlow Delano says he finds beauty in melancholy. 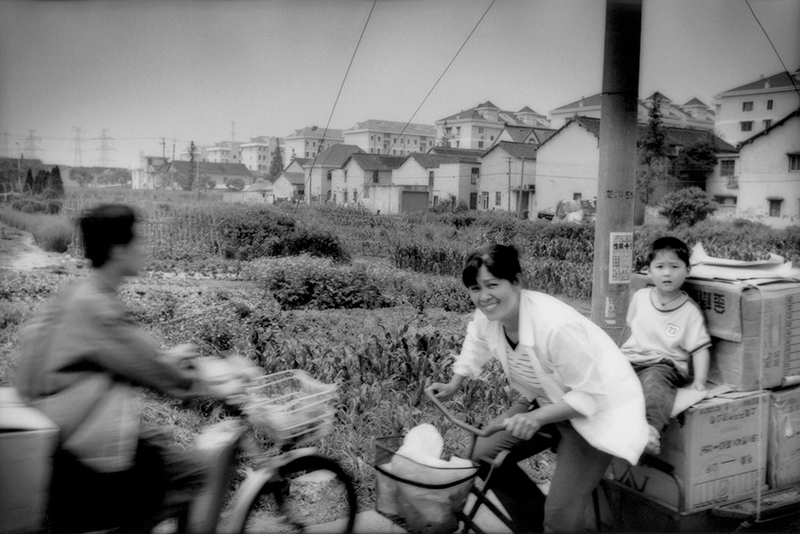 For more than two decades, he has sought it out around the edges of the often ebullient story of China’s economic rise. 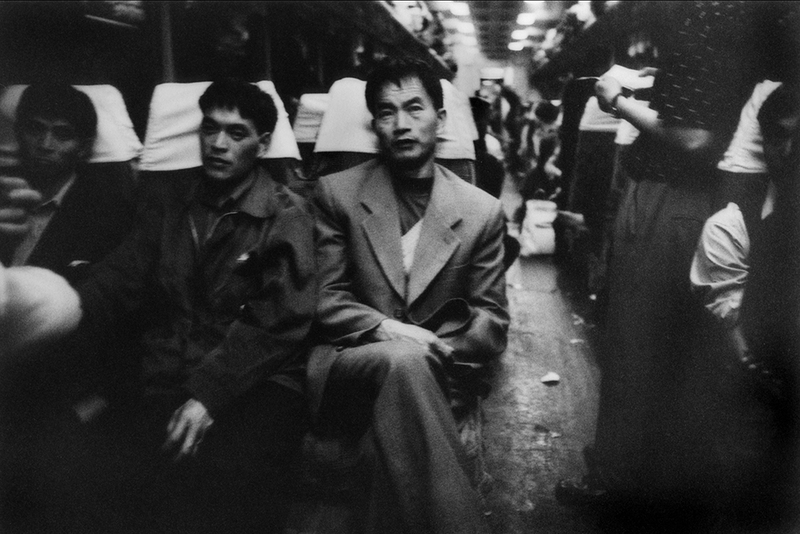 His book Empire: Impressions from China, published in 2005, focused on loss of heritage amid China’s dramatic social upheavals and used the techniques of the darkroom to enhance its subjects’ appearance of timelessness, casting them in the somber tones of the 19th-century photographs Delano collects. The images in his more recent series, Growth, shot mostly over the past half decade, convey a similar mood, but maintain a sharper focus. Delano has now turned his attention to the well-documented—but still hard to comprehend—consequences of China’s economic expansion. As in his past work, his sense of forboding and loss is palpable. 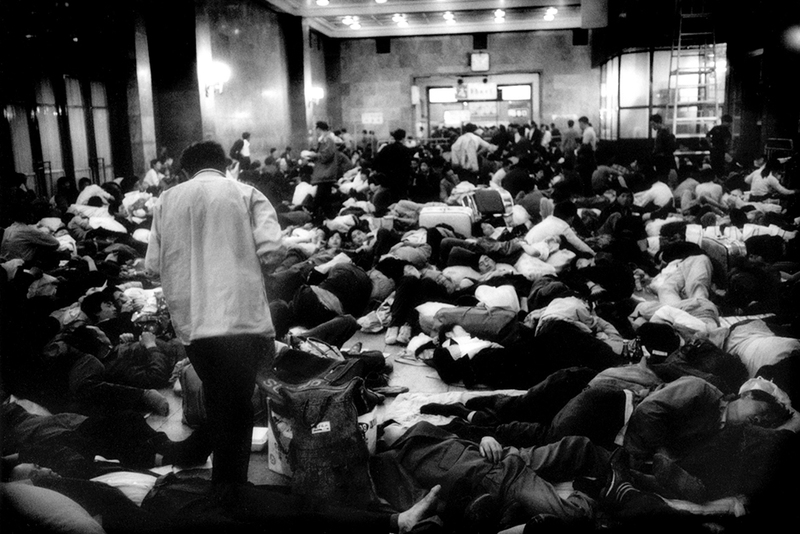 Migrant workers asleep on the floor of the Beijing Railway Station appear eerily corpselike. 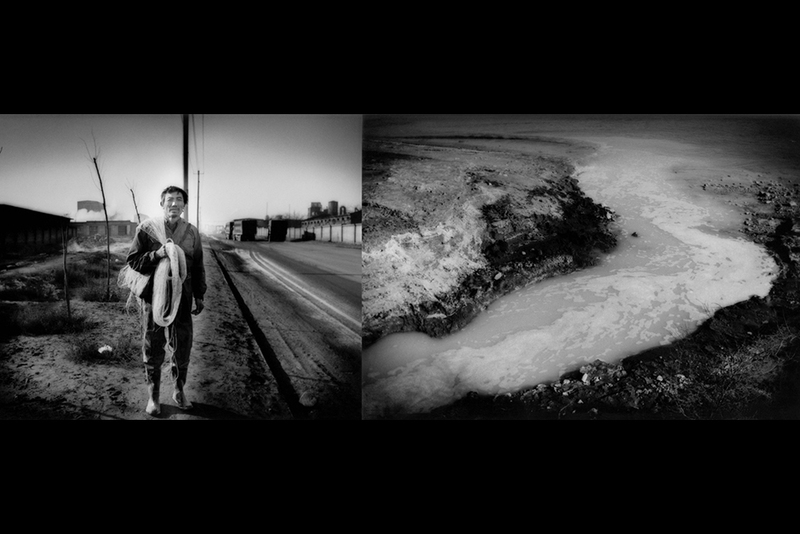 A worn-out fisherman stands beside an image of the polluted river where he makes his living. 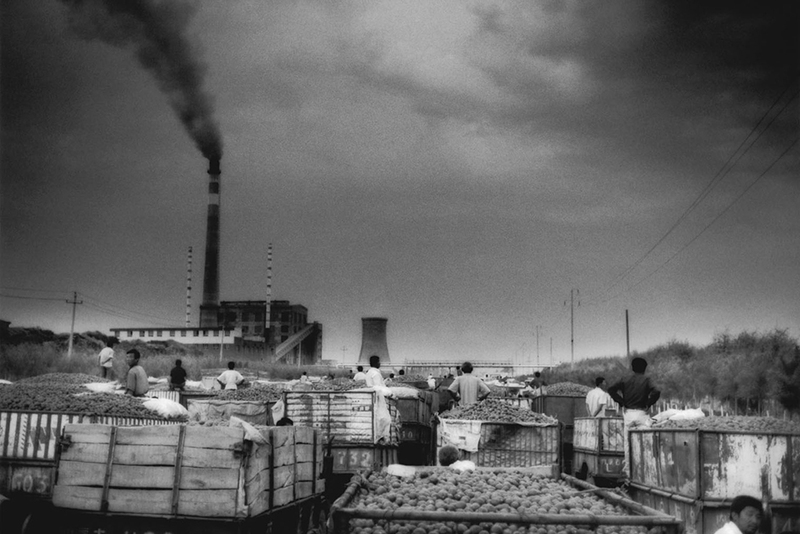 Newly harvested tomatoes look as if formed from the soot that spews from a nearby smokestack, and the heads of the farmers bringing them to market are burned into the print like holes. One wonders about the people in the pictures. They look fragile and disoriented amid the engulfing gloom where Delano catches them. Seldom does he show their faces, and when he does, they wear expressions of wariness. Are they distressed to see an American photographer chasing such unlovely scenes? Would they tell a different story, or dispute Delano’s implied message: that they lack power over their surroundings? Or like him, do they too see darkness everywhere they look?